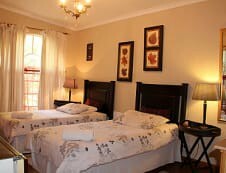 "And I said what about Breakfast at Tiffanys" Luxury accommodation in the heart of Potchefstroom. The perfect place to visit in the North West province. Close to Golf Course, Mooiriver Mall, Olienpark and the Kenneth McArther athletic stadium. 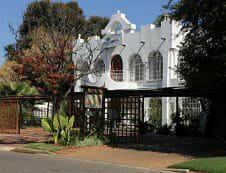 Situated close to the N12. 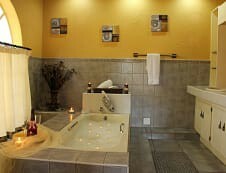 Our variety of rooms,single,double and family rooms offers the discerning Guest a stay to remember. 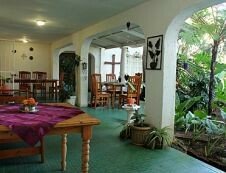 Our Conference Venue ideal for smaller meetings(35) and thus we offer personal service. Each room has a different character and our outside area a great place to unwind,whether it be on the veranda on in the garden. A green lush garden ,a braai facility and a cool blue swimming pool also helps create a relaxed and homely atmosphere. 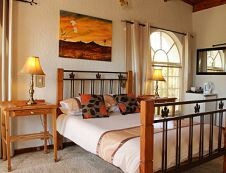 Rooms have tv's(selected dstv) and coffee and tea for your enjoyment. Free Wi-fi also available. Breakfasts are served daily and dinner/lunch on request. We serve a full English breakfast and make delicious omelettes. "Once you've stayed with us, you"ll stay with us"